See all the Alice + Olivia Spring 2019 looks from the runway. See all the Alice + Olivia Fall 2018 looks from the runway. See all the Alice + Olivia Spring 2018 looks from the runway. See all the Alice + Olivia Fall 2017 looks from the runway. 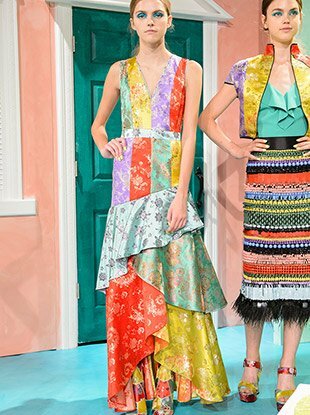 See all the Alice + Olivia Spring 2017 looks from the runway. 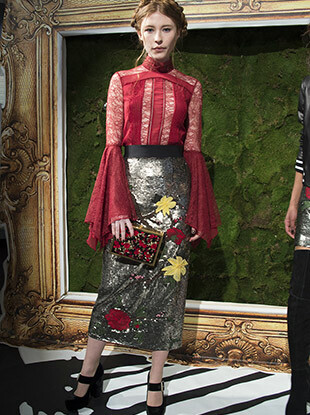 See all the Alice + Olivia Fall 2016 looks from the runway. See every Alice + Olivia Spring 2016 look from the runway. 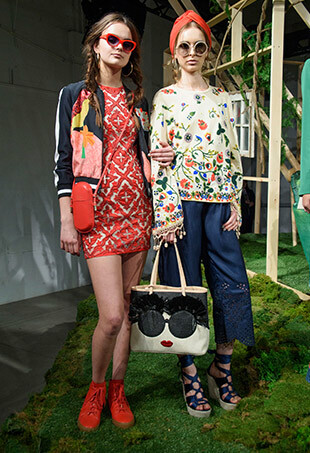 See all the images from the Alice + Olivia 2016 Resort show. 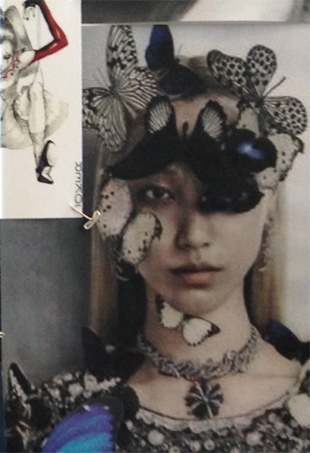 We chat with Alice + Olivia's Stacey Bendet about the Fall 2015 collection. These are the things we can't stop talking about today at New York Fashion Week. Jessica stepped out wearing streamlined separates, including a Richley drop shoulder striped blouse and high-waisted, ivory wide-leg pants. Nikki punched up her drop-waist Pre-Fall 2014 collared pleated dress with black and white embellished pumps. Color, footwear selection and shirt length made the difference in this week’s stylish battles. 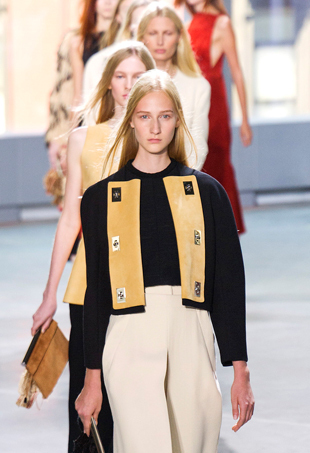 Ever wonder what's the story with names like Rag & Bone, Opening Ceremony or Proenza Schouler? We've got the answers. Sarah was spotted in the brand’s Fall 2014 marigold Depa crewneck fitted cropped tank and printed Nyla center pleat skirt. 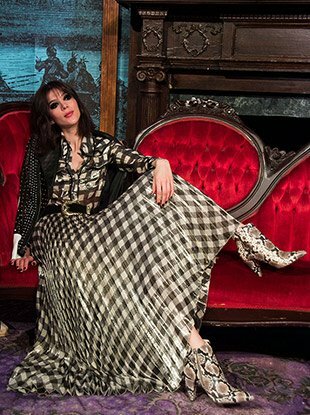 The presentation at the McKittrick Hotel saw classic fairytales like Cinderella and Snow White come to life with the feel of an old-world curiosity shop. "Stacey and our creative team have devised an entire Grimm’s-esque storyline (complete with storybook!) 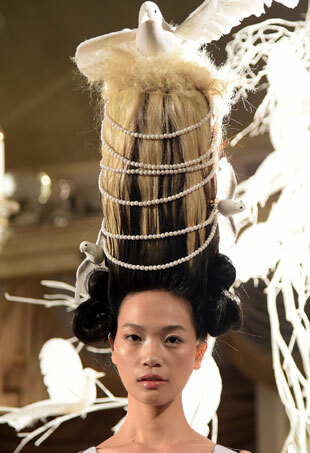 to wind through the building, with models acting as dark fairytale characters."